The West Region notebook highlights Mercer Island from Washington which is quietly sporting an undefeated record with wins over teams from three states. Newport Harbor (Calif.) snapped a 13-year losing streak and won its conference. Daniel Kelly from Calvert Hall (Md.) provided key goals in a crucial meeting against McDonogh (Md.) to earn Player of the Week for Week 7. Plus, eight players earn Honorable Mention this week. What are the odds of McDonogh (Md.) winning the MIAA A Conference championship after an 0-3 start? Also in this week’s notebook is the story of a Rutgers football commit making noise on the attack, and milestones achieved in Pennsylvania and Virginia. Depending on your state, you may be just starting or close to finishing your high school lacrosse season. 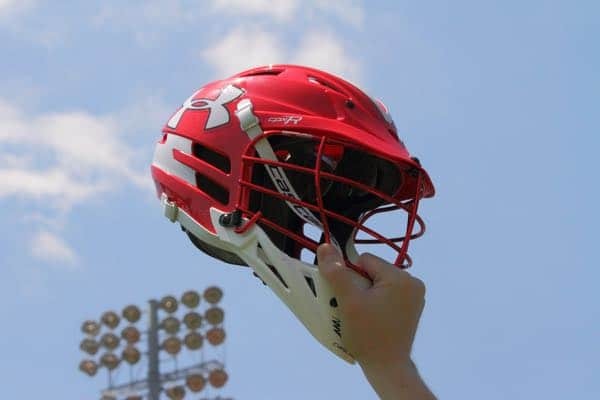 These are some of the best plays in lacrosse, so far, and were sent to LaxRecords during its call for best plays of the year. There are more than 100 players included in today’s High School Stat Leaders update, including Christian Mule going off for Half Hollow Hills West (N.Y.). It might just be win No. 2 on the season, but for Skaneateles (N.Y.) head coach Ron Doctor it was 500th victory of his high school lacrosse career. Logan Santos from St. Paul’s (Md.) earns Player of the Week after joining the 300 Club last week. Ten players from five states earn Honorable Mention.